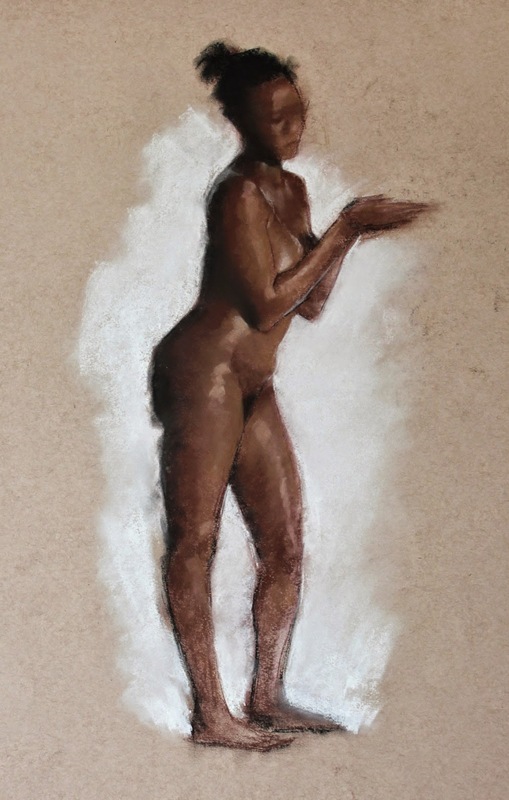 A pastel drawing from my Figure 101 class with the incredibly talented teachers John English and Andy Brinkman. They liked it but I agree with Andy that it looks like she's wearing socks. Amazing stuff as usual, Mark! Thanks for sharing. It looks pretty darn awesome. Love the different levels of finish and detail. Awesome Mark. The shading is incredible also. The pastel drawing that I usually see is shaded using the paper as mid tones, just highlighting and shadowing with pastel. But this one is all fullfilled, looking like an oil paint. Very nice. Thanks guys. Ricardo, the method is aimed at teaching students how to paint before they begin using oils. Good for quick studies too. It's a fun style.